Chief Executive of Afghanistan’s government Abdullah Abdullah told Sputnik in an interview that Moscow and Kabul have had a lot experience in economic cooperation in the past and now have big opportunities to develop this cooperation in the future. 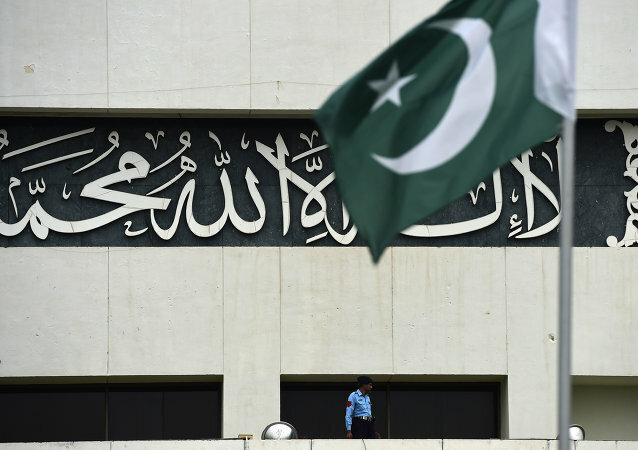 Islamabad should drop its concerns about the new US South Asia strategy and support the joint counterterrorism efforts of Kabul and Washington, according to Afghan Chief Executive Abdullah Abdullah's spokesman Mujib Rahman Rahimi. US President Barack Obama complemented Afghanistan’s efforts to fight corruption while urging the nation to continue seeking peace during a telephone conversation with the nation’s top two officials, the White House said in a press release. Russian Foreign Minister will not meet his Jordanian counterpart after a Jordan`s Cabinet reshuffle, a source in the Russian Foreign Ministry told RIA Novosti. The European Union and the Government of Afghanistan will co-host the Brussels conference on Afghanistan on October 4-5. The director of the Institute of Contemporary Islamic Thought, Zafar Bangash, joined Radio Sputnik’s Brian Becker to discuss the current situation in troubled Afghanistan, as reports suggest that the Taliban have become more active across the nation, following the 2001 US invasion. The work of the United Nations should be done more efficiently and effectively, stated the UN Secretary-General Ban Ki-moon at a conference in Buenos Aires on August 8. 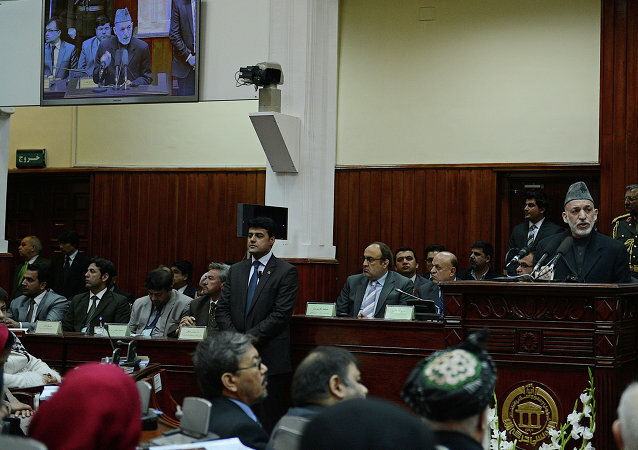 Afghanistan is thinking forward – it has established its own UN. "Big changes" in the Taliban insurgent group’s leadership in Afghanistan are expected if reports of US airstrikes killing its leader are confirmed, Chief Executive of the Islamic Republic of Afghanistan Abdullah Abdullah said Sunday. 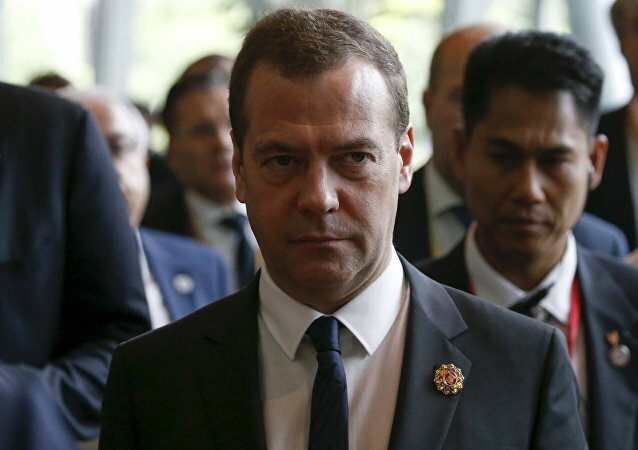 Russian Prime Minister Dmitry Medvedev begins his four-day official visit to China on Monday. US Decides to Stay in Afghanistan in Response to Russia's Success in Syria? One of the reasons why President Obama announced that the US plans to stay in Afghanistan is because of Russia's successful offensive against terrorists in Syria, American geopolitical analyst Eric Draitser pointed out. President of Afghanistan Ashraf Ghani said that Afghanistan would not get involved in any discussion on the number of US troops to remain in the country after 2016. US State Secretary John Kerry announced at a joint press conference with Afghan leaders at Camp David that he will visit Kabul later in 2015 to hold meetings with Afghan Foreign Minister Salahuddin Rabbani. The US Defense Department will seek funding to support 352,000 Afghan security forces until 2017 in order to ensure the security gains are not lost, US Secretary of Defense Ashton Carter said after meeting with Afghan leaders at Camp David. Just about a year ago, President Obama said that by the end of 2015, the number of US military troops stationed in Afghanistan would be cut in half from the current 10,000 level and they would operate only from bases in Kabul and Bagram. US Secretary of State John Kerry will meet with Afghan President Ashraf Ghani and Chief Executive Abdullah Abdullah to discuss a range of issues including security, economic development, US support for the Afghan-led reconciliation process. According to the President of the New World Strategies Coalition, a firm that develops political solutions for Afghanistan, the four nominees include two US nationals, one Canadian national and a Turkish national. Afghan President Ashraf Ghani unveiled the make-up of his new government after months of wrangling amid growing concerns of the Taliban insurgency in the country. US President Barack Obama has invited the newly elected President of the Islamic Republic of Afghanistan Ashraf Ghani and his Chief Executive Officer Abdullah Abdullah to visit the White House early in 2015.